Sam Cooke did about as much for race relations and pop music as Hemingway did for booze and prose. Unfortunately all we have to show for it today is Katy Perry and TMZ. In 1957 You Send Me became the first African American written and performed song to rank Numero Uno on both R&B and Pop charts. 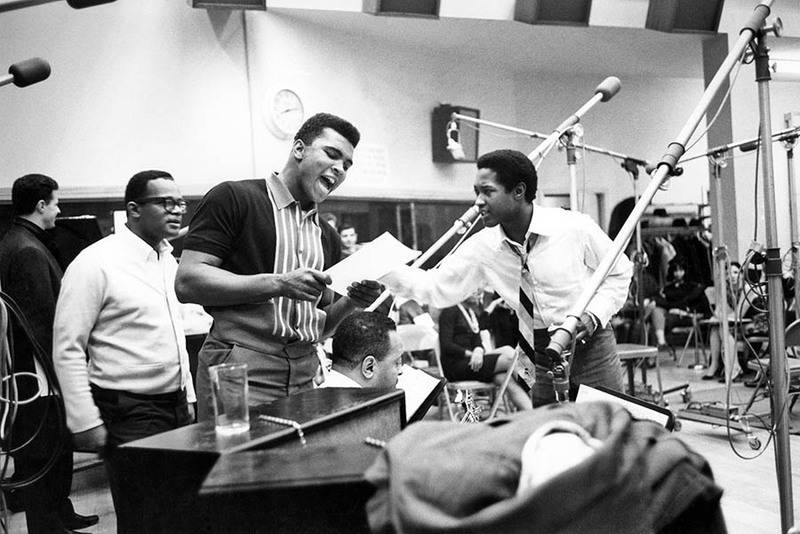 After that, You Send Me sold over a million copies and went gold along with the rest of Sam Cooke's career, including the posthumously released, unofficial song for the Civil Rights movement, A Change is Gonna Come. Before being shot to death at age 32 in 1964 in a seedy motel amidst suspicious, drunken prostitute circumstances, our golden boy of gospel and pop mentored the likes of Aretha Franklin and launched the career of greats like Otis Redding through his own record label. Every day of your life is a good day to put on some Sam Cooke, but summer even more so. Nothing sounds better while enjoying a barbecue and beer on your upper middle class patio than the sounds of civil rights and soul (eeeeeh.... while I can't say it's possible to empathize, I revere and applaud the effort and accomplishment). But hey, if you enjoy the boy, you should learn a bit about his contributions to civil rights and pop music before it eventually mutated into LOL txts, teenagers, Lady Gaga and Justin Bieber. I feel sorry for house music and the youth of today. Grumble. Grumble. Grumble. While I just can't figure the house music liking ways of the youth today, maybe I'm out of the loop... but if I were to spend an enjoyable day manning the barbecue with friends, I'd want to be able to look back later on it in my twilight years, thinking, Ah yes, this sounds like the best of times. It warms my senior citizen, diabetic heart to think of better days. As opposed to, Is it just this house music or am I having a seizure? I'm having a seizure! Maybe the audio device built into my futuristic senior ear drums is broken. It could be a stroke. I'm almost positive I'm having a stroke!